Travelling the globe is easier than ever! And with Travel Tuesdays on KSRO, you’ll get expert insight on the best way to do it. Host Alyse Cori from Travelwize will show you the insider tips to getting the most out of your trip, and answer your travel questions a 707.636.1350. Travelwize is a full-service travel planning provider that specializes in the types of trips you really want to take: theme groups, fundraisers, cruise ships events, family reunions, honeymoons, action sports trips, scuba diving and even private jet tours. No cookie-cutter one-size-fits-all plans! Experts in individual and group travel, they have earned exclusive access to vendors and contractors worldwide because of their excellent service. 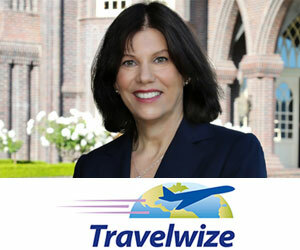 Travelwize is the creation of Sonoma’s own Alyse Cori. A travel industry veteran of more than 25 years, she began as a flight attendant for a charter airline, finding a niche in the world of corporate travel. Soon, she found herself booking travel for rock bands on tour such as the Grateful Dead, Primus, Rusted Root, Art Garfunkel and the Cranberries, just to name a few. Tap into Alyse’s vast travel knowledge Tuesdays at Noon on KSRO! Learn more about Alyse and Travelwize RIGHT HERE. Host Alyse Cori of Travelwize talks with Michelle Marques and Dana Kalisky, Business Development Manager for Celebity Cruises about family cruising aboard Celebrity Cruises! Dana also shares details about traveling to Alaska and Galapagos aboard Celebrity Cruises.